March 12th - Daylight Savings Time - spring forward! March 31st - Last day to request LDP or Marketing Loan for 2016 wheat. CRP Continuous Signup - Lesser Prairie Chicken, CRP Grassland and HELI (Highly Erodible Land Initiative) acre available. Producers interested are urged to contact FSA Office. Going to repeat the March 15th deadlines - Visit the office to purchase a NAP policy and remember to complete any CRP contract management prior to the 15th. Contract management can resume July 16th. NAP application deadline for 2017 spring crops, such as common millet, sorghum forage, and dual purpose sorghum. Producers interested in purchasing a policy need to visit the office prior to the March 15th deadline. These are crops that are not insurable through Federal Crop Insurance but are insurable through FSA with a Non Insured Assistance Program (NAP) application. . Socially disadvantaged producers including women and beginning farmers and ranchers the application service is waived and buy-up coverage is reduced by half. The application service fee is $250.0 per producer, per crop. CRP Primary Nesting Season - March 14th - July 15th there can be no activity on enrolled CRP (except CRP grasslands). No contract management such as harrowing, disking or inter-seeding can be completed during these three months. Producers are not authorized for routine grazing until July 15th. Any unauthorized uses can result in penalties assessed to the CRP producers or termination of the contract. CRP producers are reminded that is unauthorized grazing does occur, FSA will contact CRP producer not the owner of the livestock. It is the CRP participant's responsibility to maintain fences. CROP INSURANCE DEADLINE- It's always a good idea to visit with your crop insurance agent prior to March 15th to be certain any summer crops you are planning on planting have coverage for the 2017 year. Crop insurance is not a requirement for FSA payment eligibility, as this changed with the 2014 Farm Bill. With the CRP contract management being completed on CRP contracts, there are a few reminders for producers. Paid bills must be turned into the FSA office. Cost share requests will be issued to CRP participants only. Producers cannot make arrangement for the cost share to be paid to the contractor. It is the CRP producer's responsibility to pay the contractor the full balance of the bill. The FSA office will reimburse CRP contract holders. Assignment of payment is the only exception to this rule. Friday, March 31st is the last day for producers to request a Marketing Assistance Loan or Loan Deficiency Payment on 2016 wheat. Currently there is no LDP rate, however if producers have sold wheat stored in the elevator and did not request an LDP, all is not lost. The FSA office will use the rate for the day beneficial interest (sold) was lost. Producers who have wheat in storage and have not requested an LDP can place those bushels under loan with a Marketing Assistance Loan (MAL). Loans are for 9 months, for farm storage the bins will need to be inspected due to the lateness of the request for MAL. Warehouse stored will require the 9 months of storage paid to the elevator prior to disbursement. 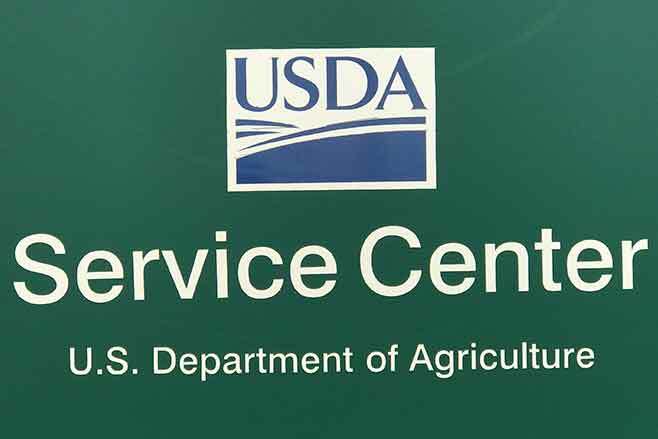 Producers are encouraged to contact the FSA office will questions regarding LDP's and MAL's. CRP Grasslands is part of Conservation Reserve Program, landowners and operators can protect grasslands which in this area are the native grasses. State leased ground is ineligible for offering. Grazing is allowed, producers who are accepted into the program work with NRCS to develop a grazing plan for the accepted acres. Contract duration is 15 years and rental rate is $15.00 per acre. Offers are ranked nationally; with ranking deadlines announced four times a year, currently the FSA office has not been notified of the next ranking period deadline. CRP grasslands is a continuous CRP signup; however when the 2 million acres allotted nationally are accepted, additional signups may be discontinued. Whether the applicant is an eligible new, veteran or socially disadvantaged farmer or rancher. Eligible producers must have owned or operated the land for at least 12 months prior to closing the CRP enrollment period. There is criteria for waiving the 12 month ownership requirement, contact FSA for further information.